The major attraction of the winter is the time of Christmas Eve. From assorted sweets, yummy delicacies to beautiful Christmas tree decorations, this festival is all full of joy and happiness. Decorating the Christmas tree in your unique style is a lovely amalgamation of comfort, colours and joy. Well, we have some unique ideas for you to decorate your Christmas tree in a magnificent style. Here it goes! 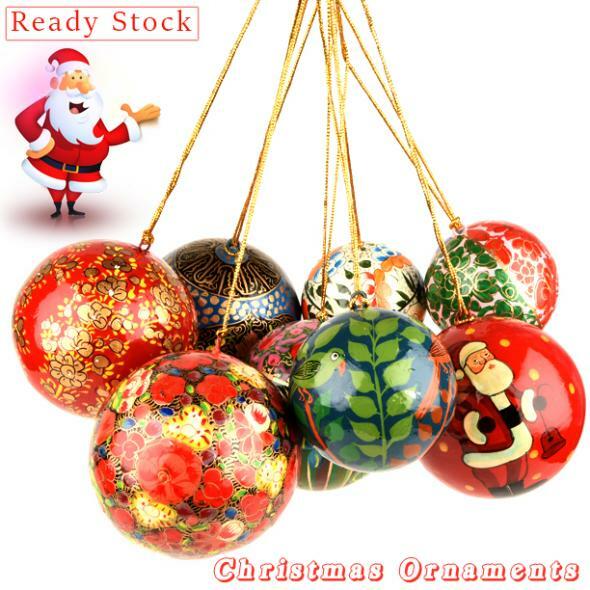 The most common of all the decorative material available for Christmas tree are the Ornaments. They are an ace over all the decorative open. We have a huge variety of ornaments available nowadays. 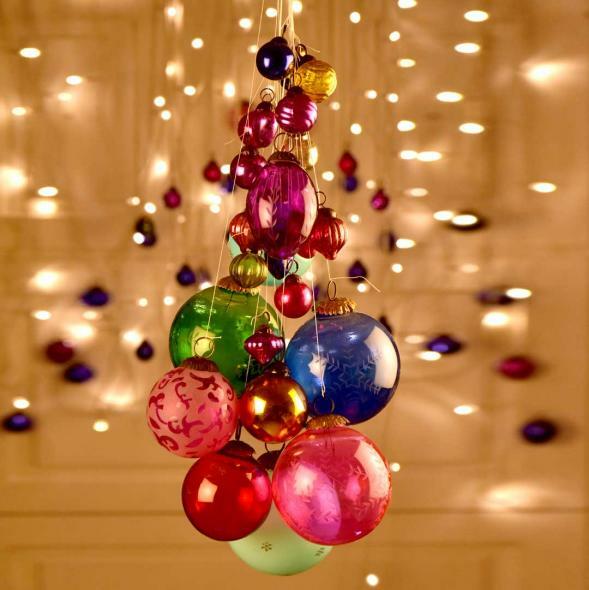 Rainbow ornaments, white coloured ornaments, copper glass, made ornaments which have a unique shine in appearance. Kids always have the urge to make the unique tree as much colour as they want. Christmas is a festival of colours and decorating the tree with coloured ribbons or glitters is in itself the best way to exhale your emotions on the tree. Out of different colours or, most common highlighted vibrant colors are red and white. RED: red ribbons are a timeless attraction on the trees. It adds elegance to the trees. WHITE: Christmas is a time of snowfall. One very intricate style of decorating the tree is by creating a white theme. White ribbons, white painted pinecones, white berries, snowflakes all these items on the trees add a view of recent snowfall. BLUE: this color adds an icy touch to the entire tree. Mixing the white with the blue will give a complete winter feel. And yes, how can we forget that. Light, lights and lights. Variety of eye catching lights is a must for the trees. Lights create a lively connection in the tree. And we have different styled and material collection of lights that will make your tree look amazing. Candle lights, LED lights, solar lights, rope lights are a few to be named amongst all. Displaying small sweet and worthy messages all around the tree is a different way to express your feeling for all the family members. These messages can act as a thanksgiving to the elders from the kids or hints for the wrapped gifts from the elders to the kids. Creating unique items from trash is a very useful idea. For example empty and used plastic bottles, cans can be used for lighting. Waste plywood or pencil shave can be used for making little stars and other decorative options. This is the mandate decoration, I personally do to my Christmas tree. Since Christmas is a year end celebration, capturing the entire family moments and displaying them on the tree adds an emotional factor. Snowflakes are a must. Scattering these snowflakes like ornaments will make the tree look like a beautiful white fairy. It adds a shimmer to the entire area around the tree. CANDY CANES - Candy cane garlands wrapped around the entire tree, makes the tree look like a small baby wrapped in warmth due to cold. STARS – stars are commonly used decorations on the trees. They can be found n different variety, designs and colours. Most of the times a big star is placed on the top of the tree and then tiny little stars are scattered all around. TINY GIFT WRAPS - another common tree decoration idea. These innovative gift wraps, not only make trees look colourful but also the kids are more attracted towards it. SOCKS – beautiful red coloured socks hanged near the tree is a surprise Santa clause gift on the Christmas Eve. Leaving the socks empty in the night and filling them up with lip-smacking candies on the next morning is the most common tradition the kids enjoy. Treat your guests with this new style of cups or cones filled with assorted chocolates or candies. They are a new style of party starters which are appreciable by everyone. Well, this is the most common natural element of decorating a Christmas tree. Adding vibrant colours to these pinecones will make the tree look elegant and decent. Adding small or large pinecone add a little drama to the tree. Decorating the tree with a garland of colourful flowers makes the tree look lively. Flowers add natural aroma and colour to the trees. The base of the tree is the root to let the tree stand upright. Decorating the entire tree and leaving behind the base, will not be fair judgment for the base. You can create a beautiful skirt either by ribbons or flowers. This 1 day celebration can become a weeklong celebration if we create with happiness and joy.